either 60 cf/hr (60,000 BTU) or 150 cf/hr (150,000 BTU). by 16” tall and 18” deep. TB-60 weighs 90 lbs,; TB-125 weighs 125 lbs. They can be installed “anywhere” indoors without special site preparation. They are quiet and can be placed right in your work area. 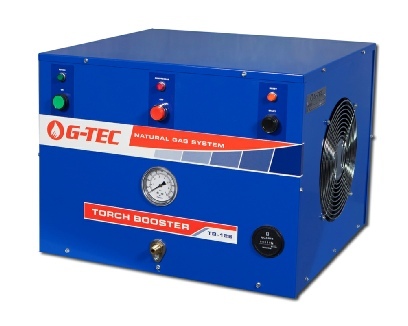 A Torch Booster is easy to use...just turn it on and get all the gas you need. When your torch is not lit the Torch Booster automatically goes into recirculation mode. It is designed to be left running for short periods when torches are not being used and does not require operator attention as torches are turned on and off. 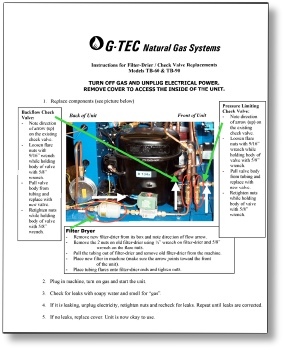 TB-60 and TB-125 Torch Boosters are Certified by CSA International, CE Compliant and are permitted in buildings that prohibit gases in cylinders, such as acetylene and propane. 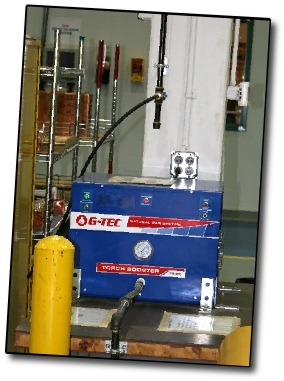 The gas pipe supplying these Torch Boosters should be at least 3/4” diameter for the TB-60 and 1” diameter for the TB-125. 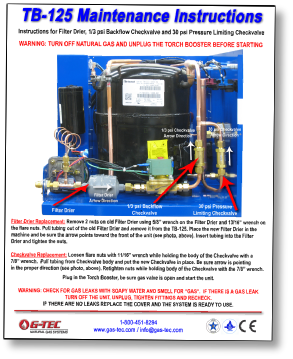 Supply pressure should be less than 1 psi but with a special order your Torch Booster can be modified to accept gas pressure as high as 5 psi. Electrical requirements are 120 V 15 amp for TB-60 and 120 V 20 amp for TB-125. Both systems are available in a 230V 50Hz model. 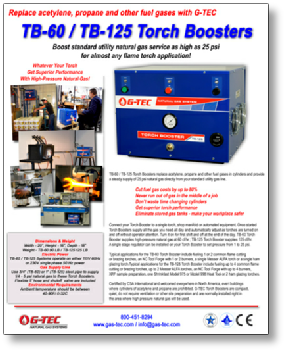 Typical applications for the TB-60 Torch Booster include fueling 1 or 2 common flame cutting or brazing torches, an NC Tool Forge with 1 or 2 burners, a single Messer ALFA torch or a single ham glazing torch. 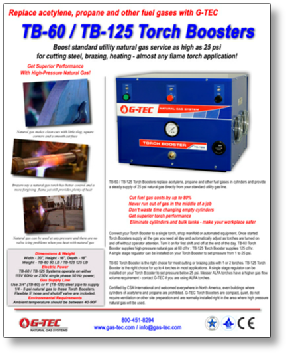 Typical applications for the TB-125 Torch Booster include fueling up to 4 common flame cutting or brazing torches, up to 2 Messer ALFA torches, an NC Tool Forge with up to 4 burners, XRF sample preparation, one Shrinkfast Model 975 or Model 998 Heat Tool , one Ripak Heat Gun (Model 2000/2200/3000) or 2 ham glazing torches.